Our Surgical Gastroenterologists provide comprehensive care for patients with Gastrointestinal Problems that need surgical approach. Surgical Gastroenterology provides state-of-the-art care for patients with gastrointestinal problems that need surgical approach. We provide advanced laparoscopic surgical techniques to patients with various gastrointestinal conditions including gastrointestinal cancers. Patients can get oncologically sound surgeries with minimally invasive technique, therefore ensuring a faster recovery and quick return to normal life. It is one of the few departments that offer a multimodality approach to liver cancer. Complex liver surgeries have been conducted with intraoperative ultrasound guidance, thus making these procedures safer with better outcomes. Patients with liver cancer and chronic liver disease are also given the option of liver transplantation. 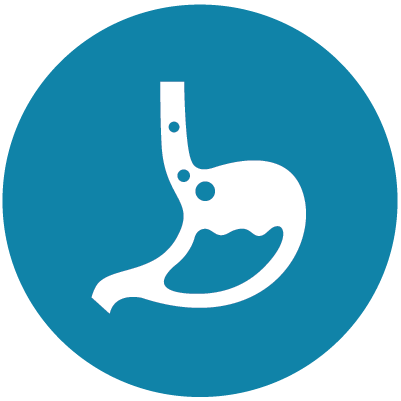 The department has dedicated clinics to offer focused care for patients with specific surgical gastrointestinal conditions. This clinic provides patients with chronic liver disease and liver cancers a one-stop solution. These patients are worked up based on standard protocols to get the accurate diagnosis and management of their condition. They are also given long-term care for the chronic liver disease. We work up adult and paediatric patients for liver transplantation. In this modern era obesity has become a common problem. When medical management is not feasible based on the patient’s condition surgical management is suggested. Based on the health and body type patients are offered Gastric Bypass, Gastric Banding, Sleeve Gastrectomy, Bilio-pancreative diversion, and their long-term care is looked after. The clinic is supported by nutritionists, physiotherapists, psychologists, psychiatrists, endocrinologists and medical gastroneterologists. Large number of patients suffer from various colorectal problems .Colorectal malignancy is rising in our population. Our clinic helps in screening high-risk individuals. The early detection and management of these cancers by a dedicated team of surgeons, medical gastroenterologists, Medical oncologists, and Stoma nurses makes sure these patients get the most advanced treatment. Most patients are offered Laparoscopic colorectal surgery which gives them complete oncological clearance with the ability to recover fast. Abdominal hernias are one of the most common conditions. Our team of surgeons offer advanced laparoscopic and open hernia repair surgeries to patients with this problem.